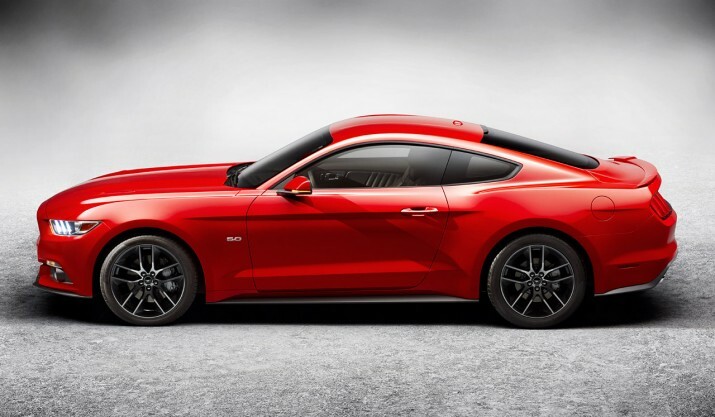 UPDATE 05/15/2014: We have a list of all options and standard features of the 2015 Mustang to help in making the decision of buying now or waiting. The radically redesigned 2015 Ford Mustang is coming. Since the announcement last December, people have been looking at the current generation of the vehicle and trying to figure out if they should wait for the new one or purchase one now while they still can. Based on what we know so far, we can accurately compare the two vehicles and hopefully help those people with making the right purchase decision. The 2014 Mustang (minus the Shelby version) is available in either a V6 or V8. 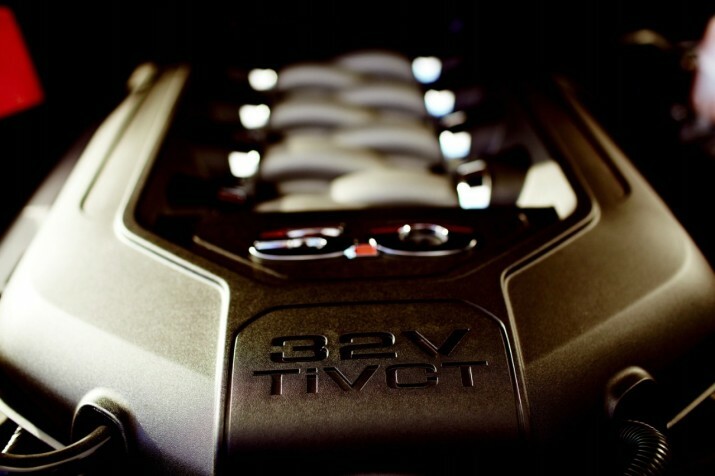 The 3.7L V6 makes 305hp and is rated 19mpg city and 31mpg on the highway with the automatic transmission. This engine will carry over to the 2015 model year. Though Ford is claiming that the V6 in the 2015 Mustang will be “at least 305hp,” we do not expect any significant changes in the horsepower or fuel economy ratings. The 5.0L “Coyote” V8 in the 2014 Mustang makes 420hp and is rated at 18mpg city and 25mpg high with the automatic transmission. 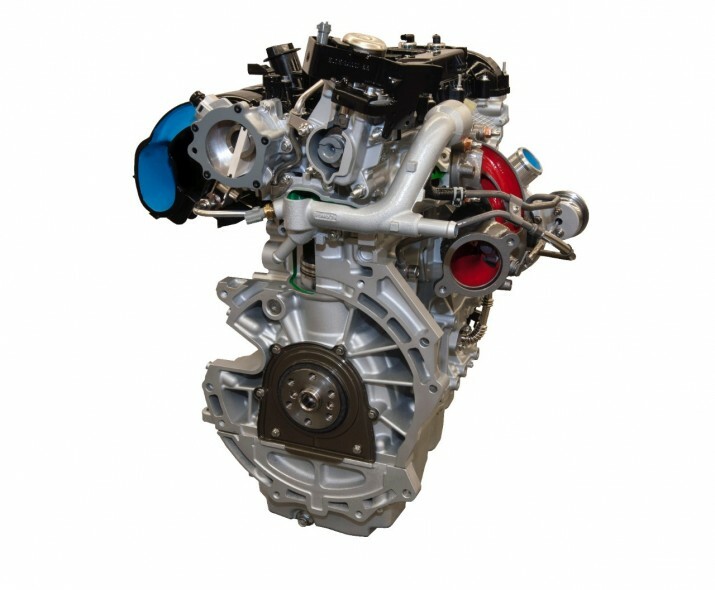 This engine will also carry over to the 2015 Mustang, and will make “at least 420hp” according to Ford. We expect a slight boost in horsepower with this engine, and would not be surprised to see slightly better fuel economy. However, we do not expect significant changes in either department over the 2014 to justify the wait. The “Coyote” V8 from the 2014 and 2015 Mustang GT. 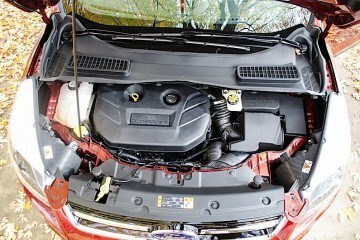 The 2015 Mustang will have an available 2.3L EcoBoost 4-cylinder engine making “at least 300hp.” This engine will be a premium option over the base 3.7L V6. On the new Lincoln MKC, the engine is only rated at 275hp. 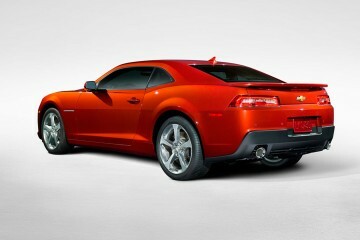 We expect the engine to be tuned heavily and offer more horsepower than the V6 while providing better fuel economy. Depending on price, the EcoBoost may end up being the volume Mustang. The 2.3L EcoBoost 4-cylinder in the 2015 Mustang. 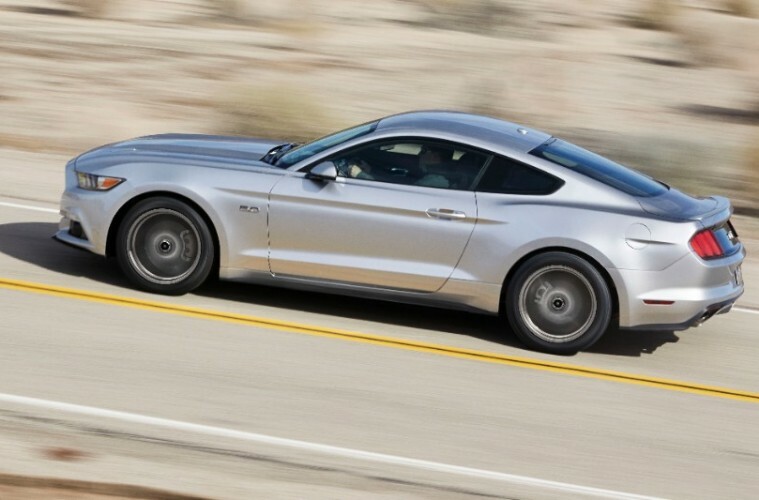 The 2014 and 2015 Mustang will be available with either a 6-speed manual transmission or a 6-speed automatic. Both transmissions are carrying over from the 2014. 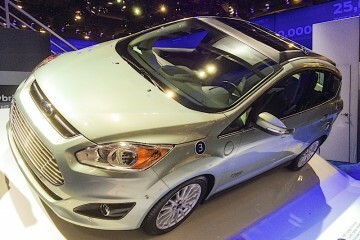 Ford will not be using a fancier 8-speed automatic unit for the sake of fuel economy. Also, even though Ford does have a dual-clutch transmission, they have not adapted it for Mustang use. Luckily, the manual transmission remains, which should keep purists happy. The 2015 Mustang features projector headlights, but they aren’t HIDs standard. The 2014 Mustang is available with a rear-view camera system and rear parking sensors. In addition, the Mustang features anti-lock brakes, full stability control, loads of airbags and a decent crash safety rating. Standard HID headlights make it easier to see at night, and standard LED taillights illuminate more quickly than normal taillights, which help in emergency braking situations. 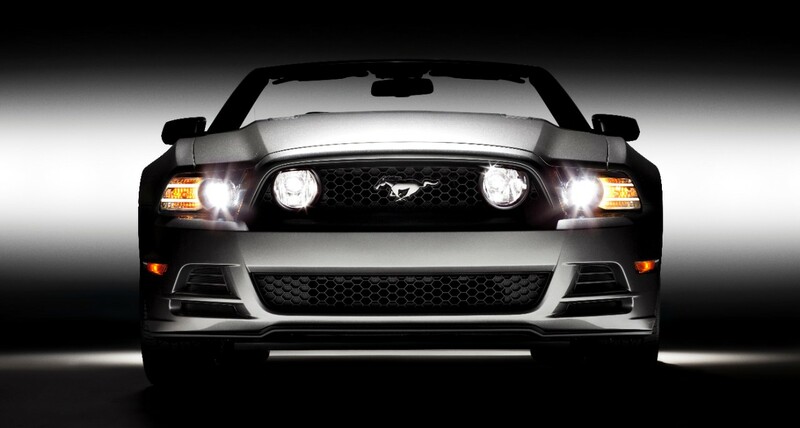 The 2014 Mustang has standard HID headlights on every model. For the 2015 Mustang, the rear-view camera and rear parking sensors are carried over. Also, the braking system and stability control is also present. Gone for 2015 are the standard HID headlamps. 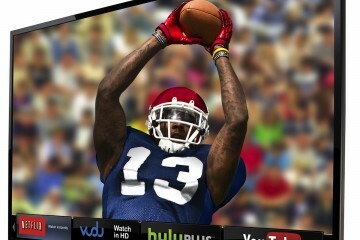 They will be part of an option package. The LED rear taillights remain. In addition to all the standard safety features, the 2015 Mustang will be available with blind spot monitoring and cross-traffic alert. This will assist when backing out of a parking space, or when attempting to change lanes. Lastly, the 2015 Mustang will be available with radar-assisted cruise control and a pre-collision system. The system is great for long road trips, and if the vehicle senses there is about to be an accident, the car can prepare by charging the brakes to prepare them for full lock. We sampled the radar cruise on the 2013 Lincoln MKZ and were definitely impressed. 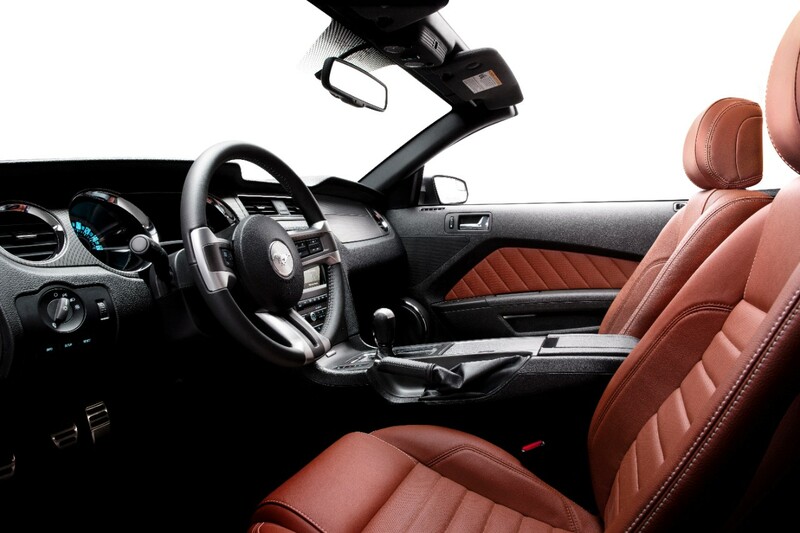 The interior of the 2014 Mustang retains the full retro look introduced in 2006. 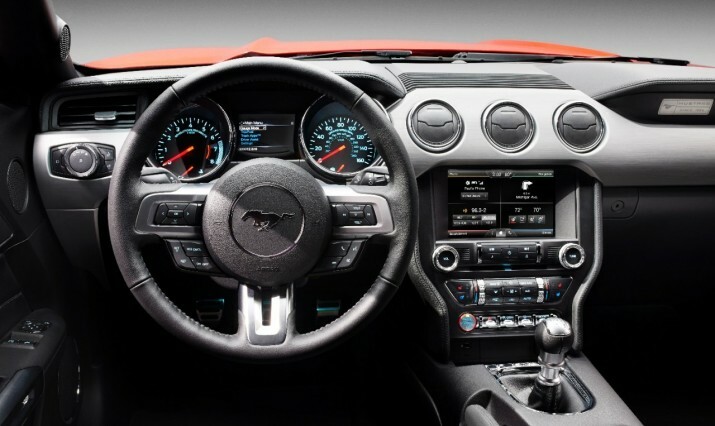 For many people, the 2015 Mustang interior is a significant improvement over the 2014 car. The buttons are more tactile and feel more upscale. The instrument cluster is more thought out, and the leather stitching looks really good. In addition, the 2015 Mustang will be available with MyFord Touch and push button start. These are not available on the 2014 Mustang. The 2014 Mustang is available with navigation and Sync AppLink. 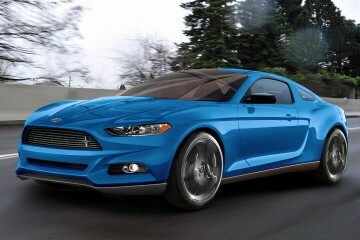 For those who do not like MyFord Touch, or want to be able to use AppLink, the 2014 Mustang might be the better choice. Designed after an airplane cockpit, some of the cues from the 2014 Mustang remain in the 2015 Mustang, but are better quality and better looking. It is unclear at this time if Ford will be offering Recaro seats as an option on the 2015 Mustang. 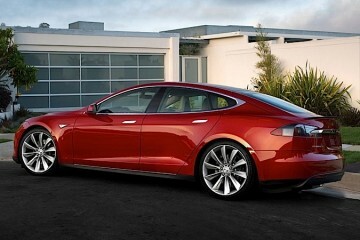 They are currently available on the 2014 car, and definitely add to the sportiness of the vehicle. 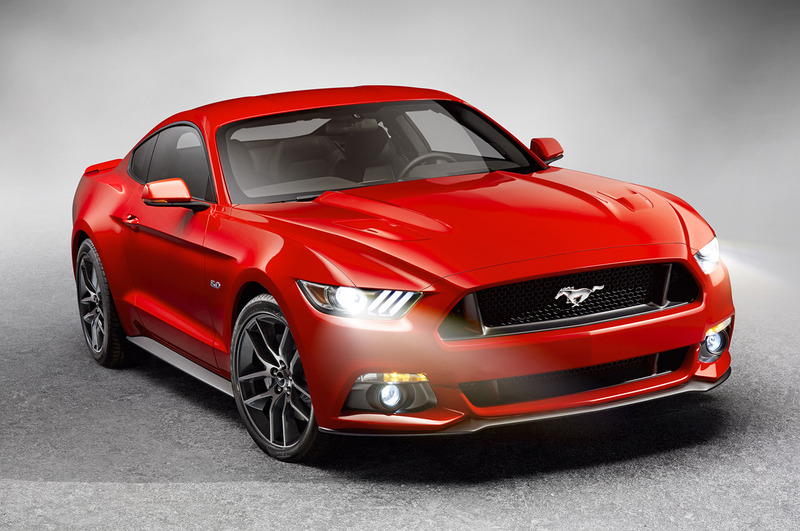 The 2015 Mustang has a new corporate face, but with a more aggressive stance. 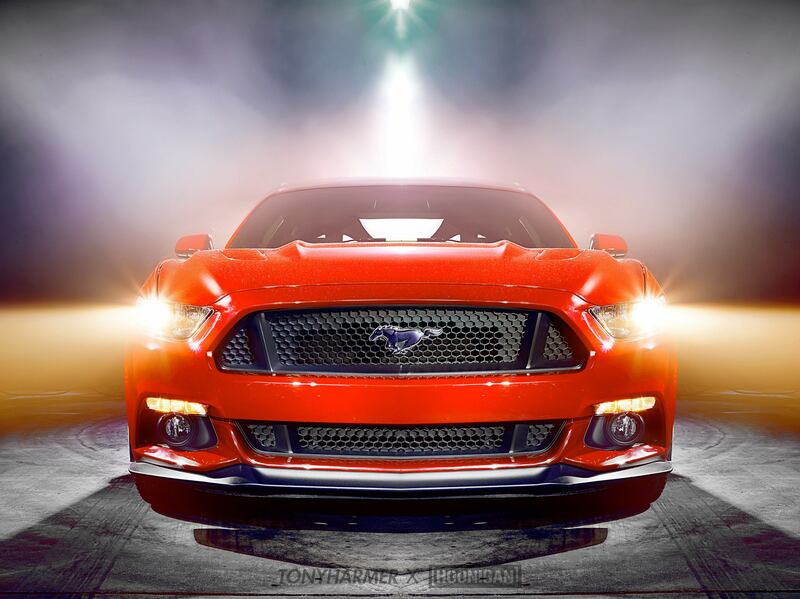 Beauty is in the eye of the beholder, but we believe both the 2014 and 2015 Mustangs look great. The 2015 Mustang does adopt some of the corporate front end components that are seen on the Fusion, Focus, and Fiesta, but with a more aggressive stance. LED daytime running lamps are available on the 2015 Mustang that look like the gills originally on the first generation Mustang. The 2014 Mustang has factory HID headlamps and a more retro-inspired front. Around the side, the 2015 Mustang sports a fastback body style in the coupe, and the rear end has an entirely new deign as well. The LED taillights on the 2015 Mustang illuminate entirely when turned on, and do blink sequentially when the turn signals are activated. The 2014 Mustang rear-end has integrated backup lights in the turn signals. 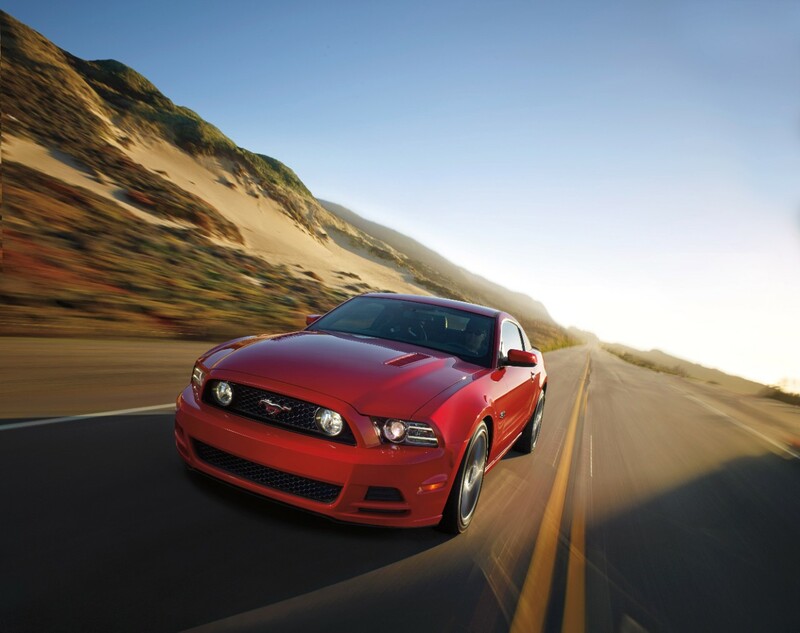 The 2014 Mustang retains the retro look that started in 2006 (but has evolved slightly over the years). Around the back, the LED taillights have a strip around them that light up when the headlights are on, but only the full light illuminates when the brakes are applied (or turn signals are activated). Also, using some LED trickery, the reverse lights are built into the turn signals. On the 2015 Mustang, the reverse light is center-mounted and at the bottom of the rear bumper. 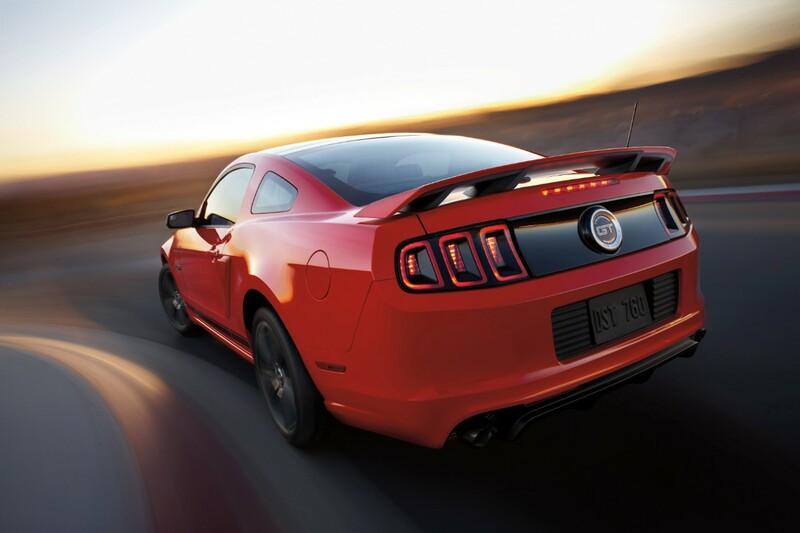 The 2015 Mustang’s rear lights are illuminated completely when activated. Ultimately, the answer of which car looks better is left to the purchaser, but if the 2014 body style is preferred, then waiting for the 2015 to hit dealer lots is not recommended. The 2015 Mustang welcomes the return of the fastback design. 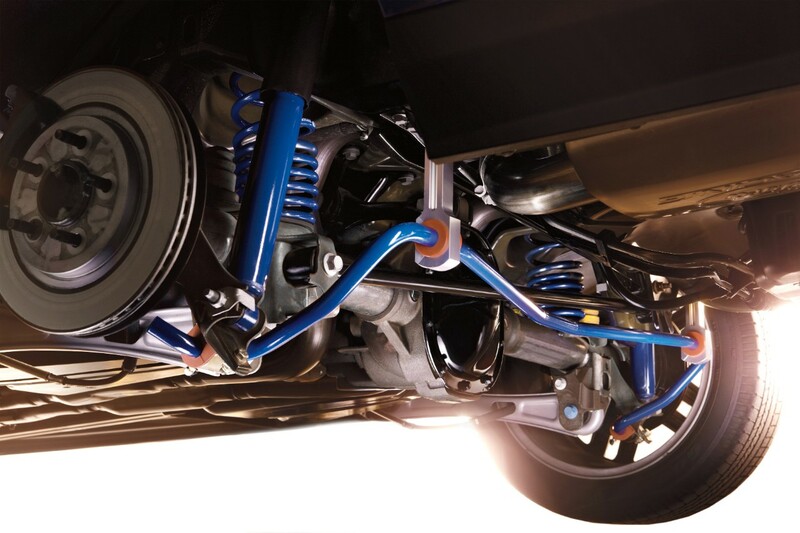 The 2014 Mustang has a live axle rear suspension setup. For those who do not know what it is, it is a way to help keep both wheels planted on the ground when the car is accelerating. Technically, it is primitive to other suspension technologies out there, but at the drag strip it is a nice setup. 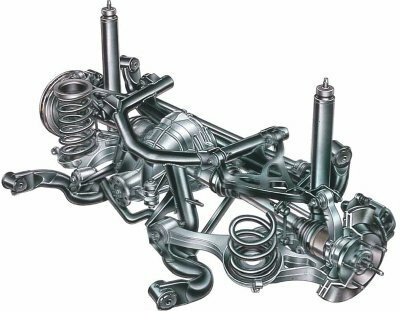 For everyday driving, an independent rear suspension makes more sense, because it’ll have a better quality ride and handle corners better. 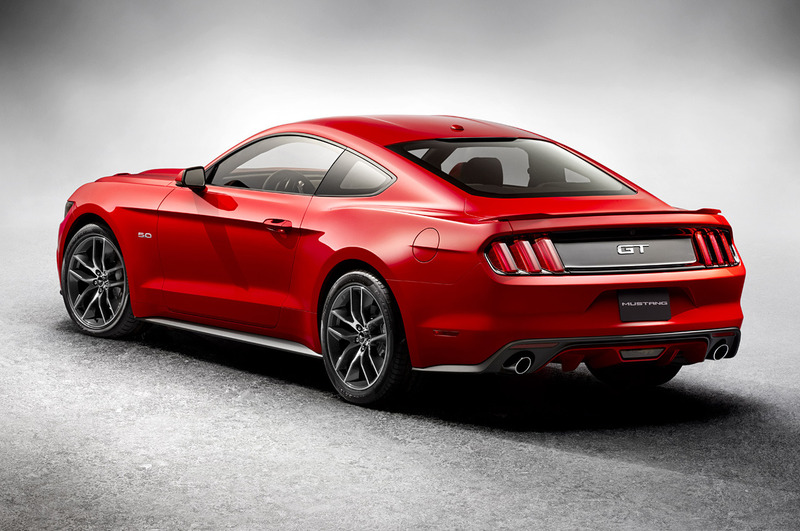 To that end, the 2015 Mustang is the first volume Mustang to come standard with the independent rear suspension setup. The 2014 Mustang’s live axle rear suspension. Notice the blue bar connecting both wheels together. The 2015 Mustang GT will feature launch control. This system helps a driver achieve the maximum acceleration possible by using the traction and stability control systems to provide the best traction. This system is not available on the 2014 Mustang GT (it is on the Shelby). 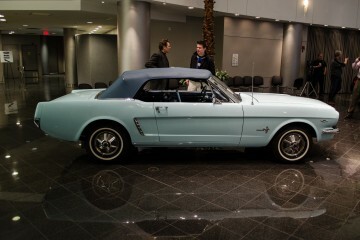 The Mustang has always been a vehicle that everyone could afford. There was an inexpensive V6 version for those who wanted the Mustang experience with out breaking the bank. They also offered in 2014 a 662hp Shelby GT500 that would ring the register at $70,000 fully-loaded. 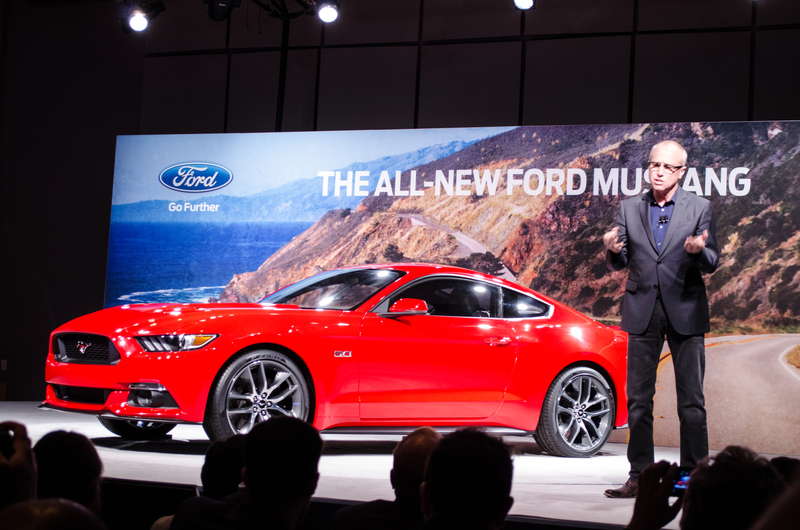 We expect Mustang pricing to be similar to the 2014 models, but with a slight increase. Incentives will be virtually non-existent when the vehicle ships, and dealerships will be unlikely to negotiate on price early on. For those wanting a Mustang experience without the hassle, the 2014 Mustang can be had with discounts and purchased immediately. 3-6 months after the new Mustang is on the lots, dealerships will be more likely to negotiate once the hype has died down. That doesn’t mean you can’t find a good dealership at launch, but many recognize that it will be a car in demand and will charge accordingly. Previous ArticleHybrid or Diesel: What Should I Buy for the Best Fuel Economy?